Q Stuart Main harks back to the Dons glory days: " Can you list the Aberdeen teams in the 1989/90 LEAGUE CUP FINAL against Rangers and the 1989/90 SCOTTISH CUP FINAL against Celtic?" Aberdeen beat Rangers 2-1 at Hampden after extra time on October 22nd 1989. 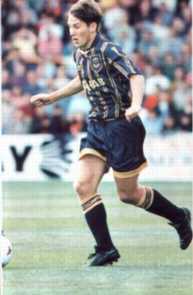 Paul Mason scored both goals in front of 61,190 fans. Rangers goal came from a Mark Walters penalty. Snelders, McKimmie, D Robertson, Grant, McLeish, Irvine, Nicholas, Bett, Mason (Graham Watson), Connor, Gillhaus. 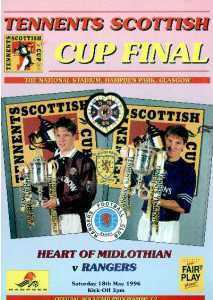 The Final against Celtic at Hampden on May 12th 1990 ended goalless after 120 minutes and the Dons became the first team to win the trophy on penalty kicks, winning 9-8 with the 20th spot-kick of the contest. The attendance was 60,493. Q David Cameron wants to know: "What was the score between Clyde and Dunfermline on Saturday 15th January 1994?" A The match was postponed that day. It was played on Sat Feb 19th with Dunfermline winning 1-0 thanks to an Andy Tod goal. Q Kylie Duncan asks us to "name team dates of the first substitution in Scottish football who, when, where"
A It was a League Cup match between Clyde and St Mirren at Shawfield on August 13th 1966 when Saints' Archie Gemmill came on for the injured Jim Clunie. 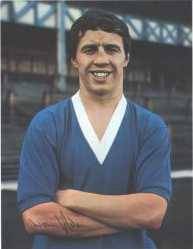 Q A question about a Rangers legend from Jane Livingston: "Did Willie Henderson come back to Rangers and play for them a 2nd time in the early 70s?" A No. The only Rangers Henderson played for after leaving Ibrox was Hong Kong Rangers. He signed for Sheffield Wednesday in 1972, then moved to Hong Kong in 1974 then back to Scotland to see out his career with Airdrie. His last appearance was as a substitute in a league game against Dundee in December 1978. Q From Gareth Evans "Who was the first Division 2 side to win the Scottish Cup?" 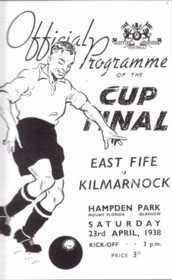 A First and only side to do so were East Fife in 1938. It seems a quiz in the Midlands has prompted a few Scottish Cup queries. Q John Cass asks: "Is there a footballer who has won an FA Cup winner's medal in both Scotland & England?" A Yes, far too many to list here. The most recent was Paul Gascoigne (Tottenham, 1991, Rangers 1996). Most recent Scot was Brian McClair (Celtic, 1985, Man Utd, 1994). Q Back to Gareth Evans for this: "Who was the FIRST player to win both Scottish and English FA Cup winners medals?" A The first to do so was Henry Campbell who won with Renton in 1888 and Blackburn Rovers in 1890. Q On the same theme from Alistair Jones: "Who was the first Englishman to win a Scottish FA cup and English FA Cup winners medal? A Jim Welford with Aston Villa in 1895 and Celtic in 1899. Gazza became a double Cup winner. Q Alister Campbell wants to know: "What was the team when the Scottish League played the Italian League on November 15th 1962? I have a team photograph from the day, and can only name six of them." A I have the date as November 14th. Team was: McLaughlan (Kilmarnock), A Hamilton (Dundee), Kennedy, Crerand (both Celtic), Ure (Dundee), Baxter, Henderson (both Rangers), W Hamilton (Hearts), Millar (Rangers), Cooke (Aberdeen), McParland (Partick Thistle). John Divers (Celtic) replaced Willie Hamilton at half-time. They lost 4-3 with the goals coming from Divers, Cooke and Millar. Q Well, you wait ages for a question from Holland then three arrive all at once! Patrick Van Der Heijden, Robert Peperkamp and Robin Frank all pose the same query: "Who was the FIRST Dutchman to play in an Old Firm match?" A It was Pieter Huistra for Rangers in a 1-1 league draw v Celtic at Ibrox on September 15th 1990. My thanks to Forrest Robertson for this as I have recently moved home and much of my reference material is stuck at the bottom of a box somewhere. Q Peter Nulty asks: "Who was the first player to score for Gretna in the 2002-03 season?" A It was Matt Henney in the first minute of their first league game, at home to Morton on August 3rd 2002.